Rye bread, with its slight tang, has a flavor profile all its own. Whereas "white bread" has become a term synonymous with "ordinary" or "plain," "rye bread" promises all the complexities of a heartier grain. Rye breads would be too heavy if made entirely of rye flour, so the addition of whole-wheat flour lightens the loaf. Sometimes rye breads are made with a sourdough starter, but this simple recipe foregoes a starter, which can take weeks to produce. 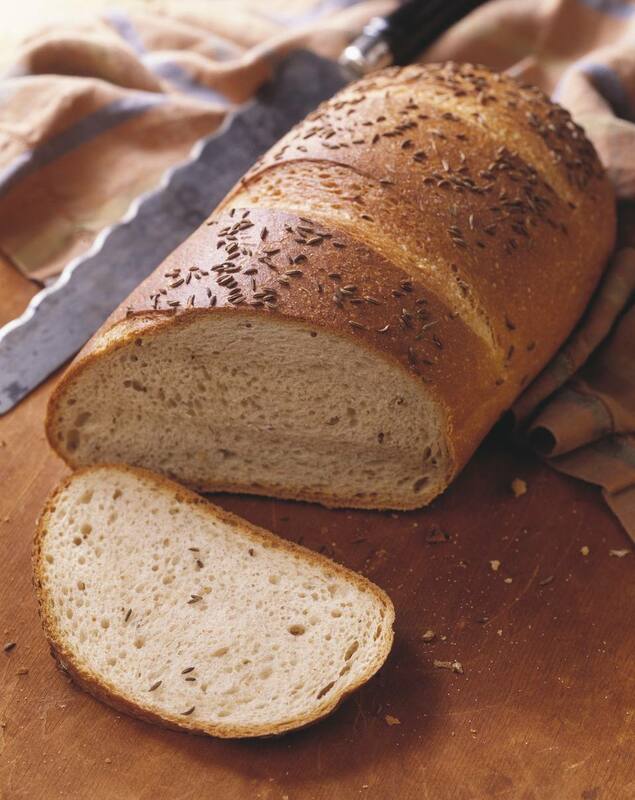 If you don't like caraway seeds, omit them from the recipe without any loss in flavor. This bread goes great with Dill Pickle Soup. And here are Leftover Rye Bread Recipes. In a heatproof large bowl or the bowl of a stand mixer, pour scalded milk over butter, sugar, and salt. Stir and cool. Add softened yeast and 3 cups rye flour to the milk mixture. Using the paddle attachment of your stand mixer, or by hand, beat thoroughly. Add the remaining rye flour and beat again until flour is thoroughly combined. Scrape dough out into a clean, greased bowl, cover, and let rise in warm place until doubled in bulk, about 1 hour, or follow this quick tip to cut the rise time. Cover and let rise in warm place until doubled in bulk, about 1 hour. Meanwhile, heat oven to 450 F. Brush the loaves with beaten egg white. Reduce heat to 350 F and bake 35 to 40 minutes longer or until an instant-read thermometer inserted in the center of the loaves registers 190 F.
Store in an airtight container or slice loaves and freeze. If a more tender crust is desired, brush loaves with melted butter 5 minutes before removing from the oven.